The San Francisco Democrat and liberal mega-donor’s eight-month campaign to impeach President Trump for firing FBI Director James Comey, and for Trump hotels allegedly violating the Constitution’s “Emoluments Clause,” is a challenge for Democrats hoping to catch a “Blue Wave” in November. Steyer has long been a Trump foe. In May 2016, he posted an easy declaring: “To say Donald Trump would be a disaster for our country, our democracy, and our future would be doing a grave disservice to the word ‘disaster.’” Yet despite being the 2016 election cycle’s largest individual political contributor at $89,794,744 — given exclusively to Democrats and liberal causes — Steyer failed to stop Trump from winning the presidency and Republicans from holding both houses of Congress. 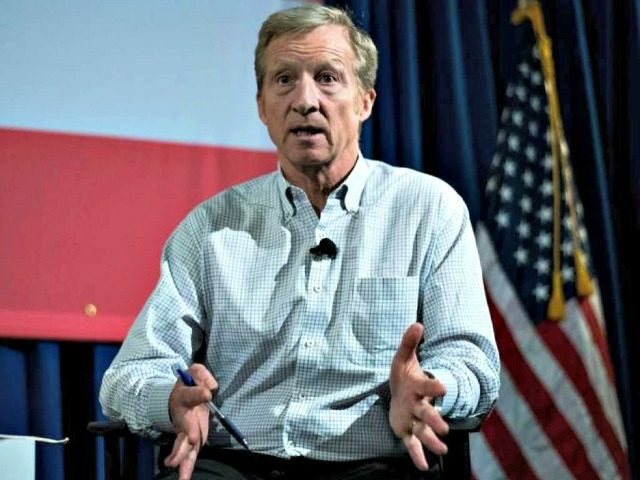 Steyer launched his “Need to Impeach” campaign in September 2017 with an effort to nudge local California Democrat attorney generals and politicians to campaign to remove President Trump. But eight months of buying billboards and running TV ads has coincided improving prospects for with President Trump and the Republicans. The Rasmussen Poll shows that the share of likely voters who believe that America is headed in the “right direction” has consistently risen from 26 percent just before Donald Trump locked up the Republican nomination for president in June 2016, to an eight-year high of 43 percent in the latest June reading. Legendary Democrat and former California Assembly Speaker Willie Brown warned California Democrats in a June 2017 San Francisco Chronicle op-ed that James Comey had failed to deliver a “knockout punch” to President Trump during congressional hearings in which he discussed his own firing. Brown cautioned that efforts to impeach Trump could backfire on Democrats. 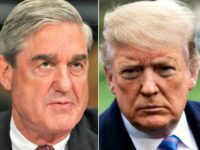 He suggested the party save its credibility, let Special Counsel Robert Mueller investigate Trump, and “leave the speculation to MSNBC.”. The New Yorker magazine warned in May that Steyer and grassroots impeachment activists are likely generating more motivation for Republican voters to show up in November to keep a Republican Congress to protect President Trump. House Minority Leader Nancy Pelosi (D-CA) — who hopes to return to the Speaker’s chair — told the New Yorker, “I don’t like to talk about impeachment.” Pelosi argues that impeachment is not a unifying issue for Democrats. A Pacific Policy Institute of California poll of Golden State voters in late May found that 47 percent of likely voters prefer candidates for Congress to work with the Trump administration, versus 46 percent that oppose cooperation with President Trump. More importantly, 49 percent of California independents prefer candidates to work with President Trump.